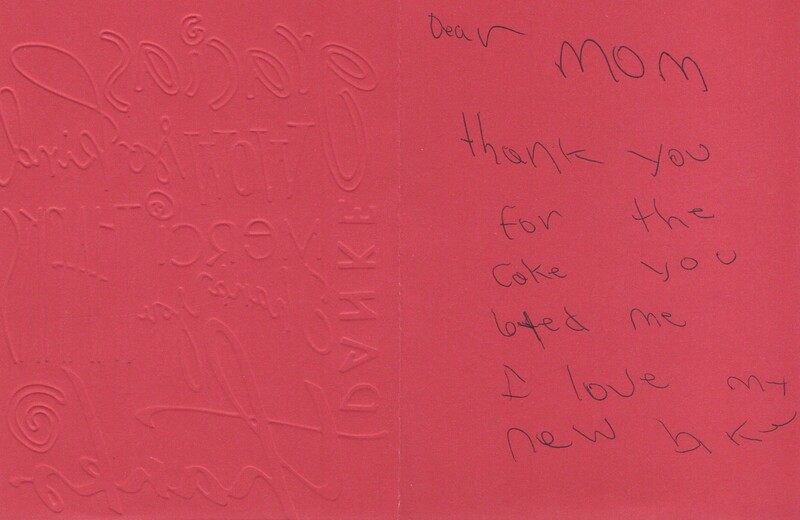 I always make my kids write thank you notes for the gifts they receive, usually for Christmas and birthdays. BE just had her 9th birthday, so we were working on thank you notes for her friends. For the first time ever, I got a thank you note. I was so happy that she was thoughtful enough to do this unprompted and that she really appreciated her gift. I’m working hard to hold onto the positive things; I spend too much time dwelling on the negative. How special. That note is truly a keeper!